When parents lose a child, they will stop at nothing to find them if there is even a chance they are still out there. Rather than giving up, one group of dedicated mothers and fathers is making sure that no stone gets left unturned: Parents of missing children are petitioning Shaquille O’Neal to give his suit just one good shake in case their missing children are lost in there. Wow. These parents will do whatever it takes to get their babies back. The petition, which was posted online at Change.org just last week, demands that the four-time NBA Champion get up, shimmy around, and wiggle his pant legs just in case there are any missing children trapped anywhere inside his clothes. So far, the document has received signatures from thousands of concerned parents who believe that their children might be stuck somewhere along the immense circumference of Shaq’s waistband or crawling around the deep abyss of the enormous basketball player’s pockets, desperately looking for light. Wow. Should a missing child be stuck inside either Shaq’s size 58 blazer or size 54/40 pants, this petition has the potential to bring families back together. Even families whose sons and daughters have been missing for decades are pledging their support and are hopeful that, if Shaq were to shake hard enough, a fully grown adult could come tumbling out of one of the enormous arms of his suit jacket. The petition also states that they would accept Shaq taking off his formal wear and giving it a couple firm flaps in the air. Incredible. While it’s still early, we’re confident that the petition will get enough signatures to get Shaq’s attention, at which point he will have no choice but to agree to give his suit a good shaking. 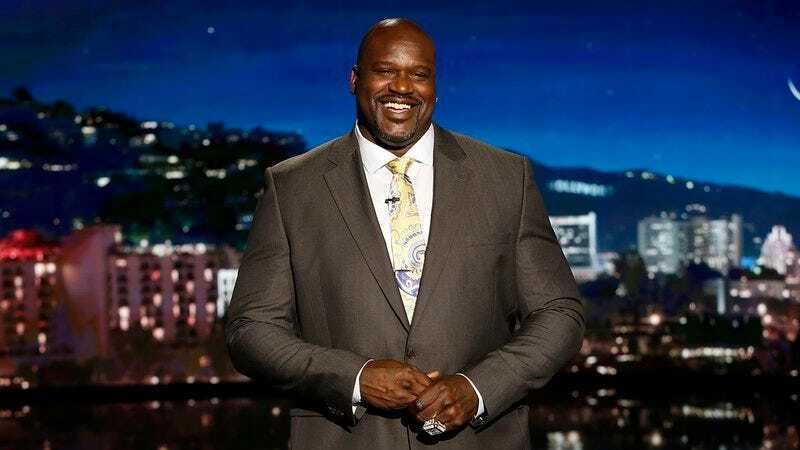 After all, while the chances are small, one shake of his pants seems like a small price to give parents the peace of mind that Shaq has not been accidentally trapping these kids in his suit the whole time.